Consumers are becoming familiar with pyrolytic ovens. In a process similar to fireplace-glass blemish removal, food stains in the ASKO Pyrolytic Oven cavity are removed by high temperatures. However, ASKO Pyrolytic Oven cleaning is also targeted, resulting in as-new heat-resistant oven racks and reflective multilayer door glass with every pyrolytic self-cleaning cycle. 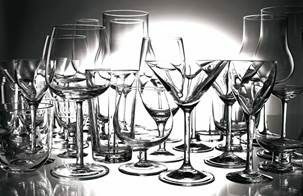 ASKO product designers are innovations experts who appreciate multifunctional capabilities. ASKO Pyrolytic Oven features and functions are second to none, with every mode and setting designed to assist the user and minimise the workload. 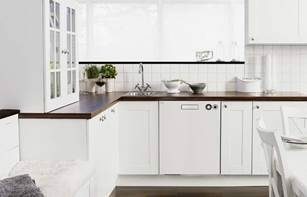 Minimalist Scandinavian appliances are low maintenance but high quality; a combination appreciated by Australian chefs. Pyrolytic ovens don’t claim to be an entirely new invention. ASKO pyrolytic ovens retain trademark ASKO simplicity and style, while using traditional energy sources to facilitate progressive functions. Pyrolytic ovens prepare food with the expected ASKO programs and features, but it’s the cleaning capacity of ASKO pyrolytic ovens that really shines. The pyrolytic clean cycle is a user-friendly programable function that cleans the oven interior by itself. Pyrolytic oven cavities are coated with a heat resistant enamel surface that allows intense heat to incinerate stuck-on food. The pyrolytic clean cycle lasts for 1.5-2 hours, efficiently returning the oven interior and oven trays into showroom fresh condition. Once the pyrolytic clean cycle at temperatures around 500º C is complete, and the oven has cooled, the autolock door can open and residual ash is simply wiped away. Are pyrolytic appliances the same as other built-in ovens? 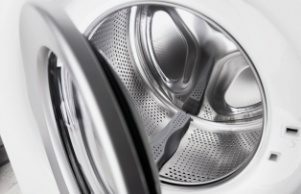 Are steam oven and pyrolytic oven cleaning the same? Although pyrolytic ovens are extremely popular, ASKO developers recognise that everybody has different tastes and requirements. The vast ASKO appliance range has been developed with the user in mind, and ASKO Pyrolytic Oven benefits are a typical example. ASKO pyrolytic ovens include ASKO Elements, ASKO Pro Series and ASKO Craft Oven models, each with specific characteristics for personalising kitchen décor. 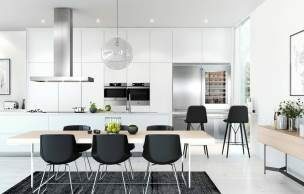 In addition, ASKO manufactures steam ovens, steam assist ovens, combi ovens, combi-microwave ovens and more to ensure Australian kitchens are both purpose-designed and appointed. ASKO steam ovens, for example, are a great alternative to pyrolytic ovens, using steam and hot air circulation to moisten and cleanse the oven cavity instead of pyrolysis. ASKO kitchen appliances work together using compatible settings and functions, along with user guidance that includes favourite recipes that are conveniently stored and retrieved. Once the meal plan is set, automated cook programs can do the rest, including the cleaning. 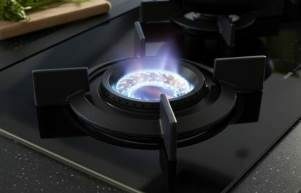 Are there special pyrolytic technology cooking advantages? A huge pyrolytic oven advantage, particularly for people with sensitive skin, is cleaning without chemicals. Heat is an incredibly efficient cleaner, and when temperatures reach close to 500ºC, cleaning is automatically performed. Seamless manufacture and integrated features allow the kitchen to remain cool even during intense cleaning, while the quadruple glazed oven door remains safely cool to touch. 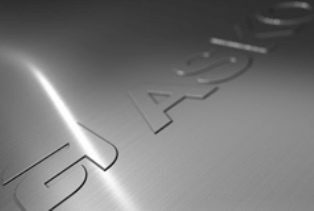 Pyrolytic capabilities are the latest progressive ASKO development establishing high-end kitchen products at the right price. ASKO innovations are for all Australians who are building or renovating, with products and pricing to match every style and budget. Pyrolytic technology is here to stay, and when manufactured by ASKO, your quality pyrolytic oven will last as long as your kitchen for household health, harmony, and dining satisfaction.